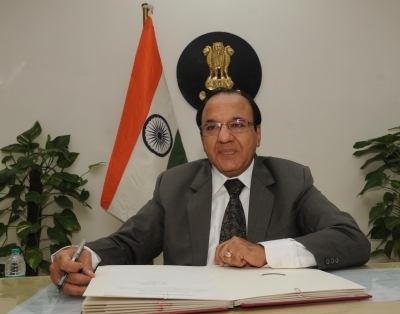 Shimla, Sep 23 (IANS) In the run up to the Himachal Pradesh assembly elections, Chief Election Commissioner A.K. Jyoti will be here along with his team for two days from Sunday to review the poll preparedness. During his visit, he will hold a series of meetings with the police and state election officials besides high-ups. Nodal Officers of various departments will give presentations on election preparedness before the Election Commission team on Sunday, an official statement by the state government said. A meeting with the leaders of various political parties will be held on the same day. Officials of the Election Commission will review the poll preparedness with the Deputy Commissioners, Superintendents of Police along with Divisional Commissioners the next day. Besides Jyoti, Election Commissioners Om Prakash Rawat and Sunil Arora, Deputy Election Commissioners Umesh Sinha, Sandeep Saxena and Sudeep Jain and Director Generals Dilip Sharma and Dhirendra Ojah are the other visiting members of the Election Commission. Himachal Pradesh, with 68 assembly seats, is likely to go to the polls in November. The state is currently ruled by the Congress while the Bharatiya Janata Party (BJP) is the main opposition party.